Laugh and learn with us between issues of Interweave Crochet. 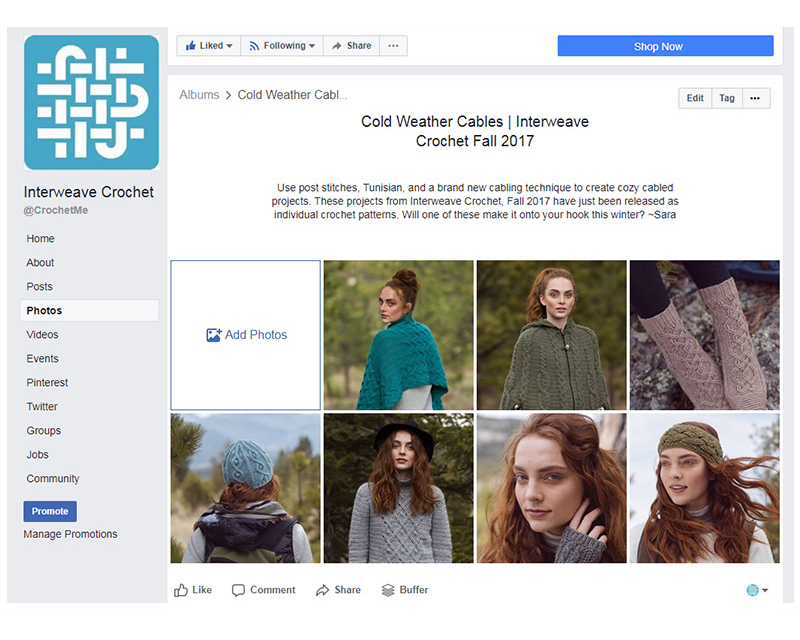 Here are four ways you can make the most of the Interweave Crochet Facebook page, to stay on top of what’s new and exciting in the world of crochet. You can find our page here: Interweave Crochet on Facebook.com. Facebook determines what you see in your news feed from day to day, but there’s a way to take back control! 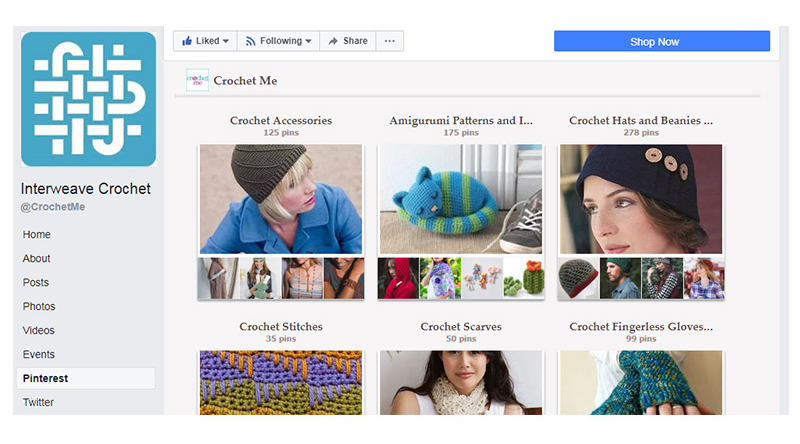 Go to the Interweave Crochet page and be sure you’ve “Liked” us. 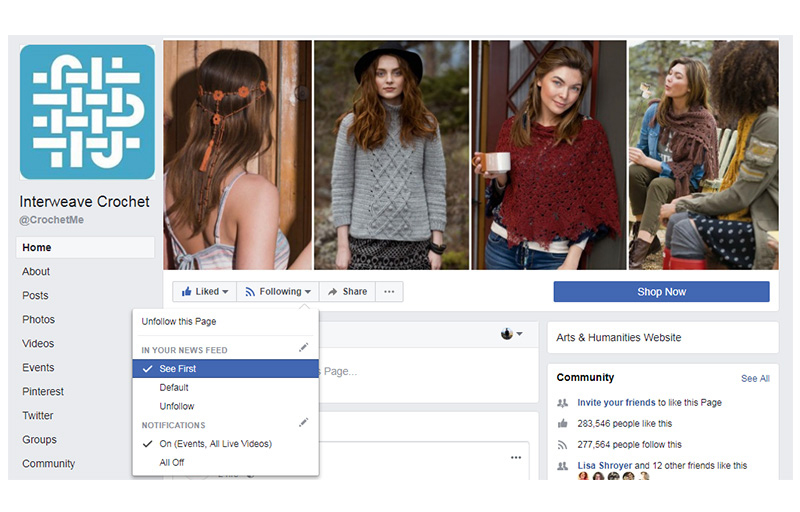 Then, under “Following,” select “See First” to ensure that tutorials, sweepstakes, free patterns, and limited-time offers appear first thing in your feed. Connect with fellow enthusiasts in real time. 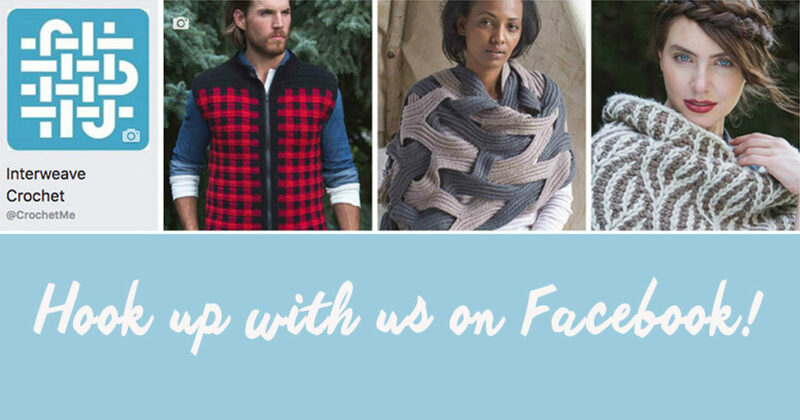 We have lots of Facebook Live events to instruct and entertain coming up soon, and we’d love to have you join the fun. Under the “Following” menu, you’ll see the option to turn on notifications for Events and Live Videos. 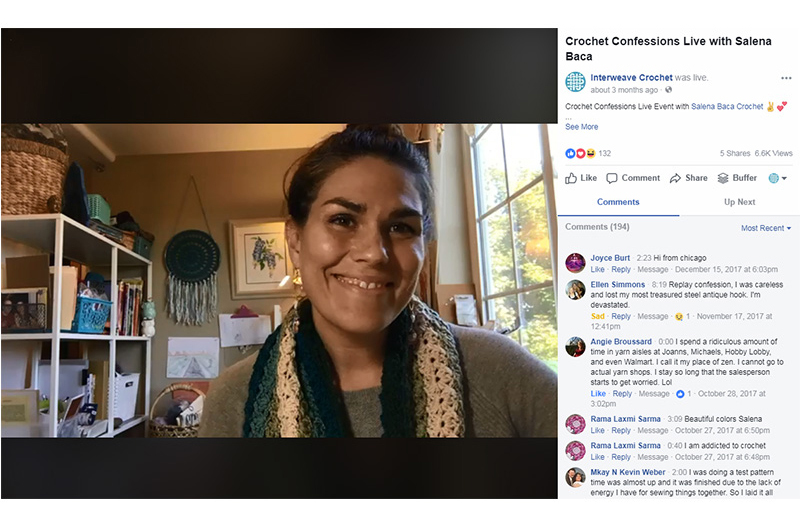 We had so much fun hosting Salena Baca for a special “Crochet Confessions” session on Facebook Live! If you’re anything like us, you could look at pictures of gorgeous crochet projects all day, every day. Maybe you’ll find a project you just have to get on the hook, or maybe you’ll just window-shop. Either way, check out the “Photos” tab for tons of inspiration! There’s always more for crocheters to learn, and video is one of the best ways to internalize a new skill. 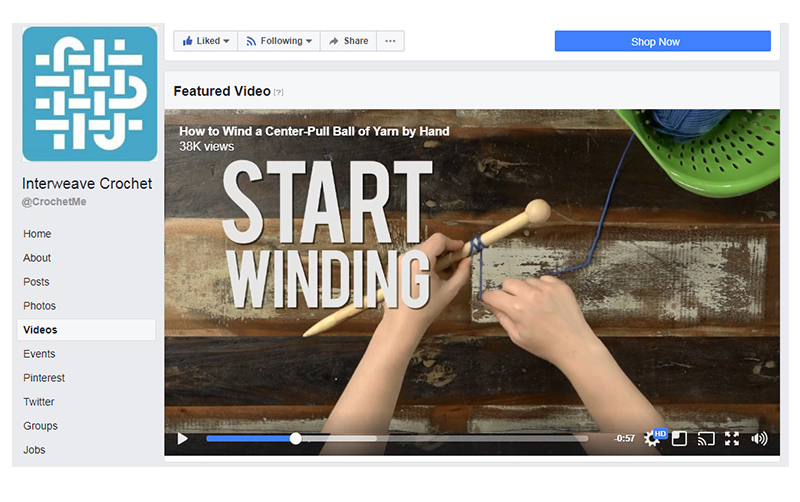 Visit the “Videos” tab to learn about everything from winding a center-pull ball by hand to twisted Tunisian simple stitch! Pinterest on Facebook? Oh yes! Click on the “Pinterest” tab to find even more crochet inspiration, tutorials, and free patterns. This article originally appeared in Interweave Crochet Spring 2018. Subscribe to see more articles like this! 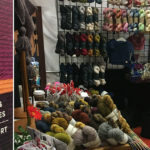 LYS Day the Interweave Yarn Fest Way!